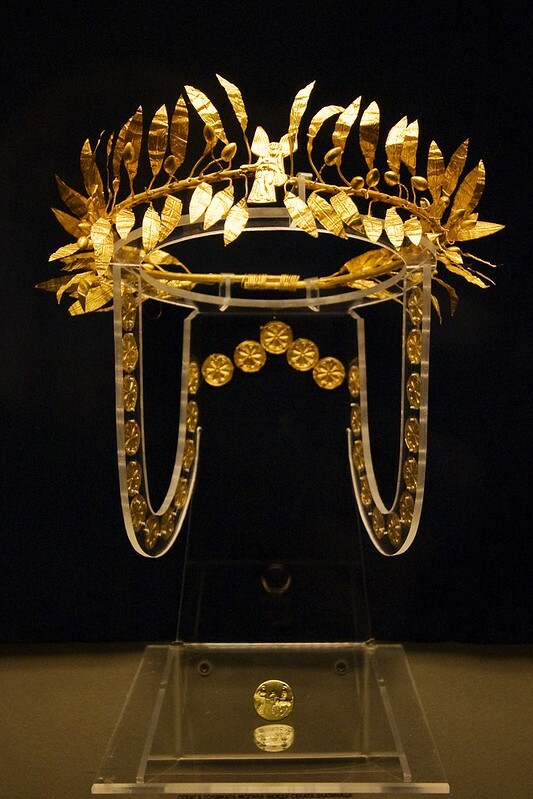 In my previous post I highlighted some of the best known Thracian treasures found in the 20th century. It is always important for me to bring forth and raise the need to have beautiful and meaningful symbols of human ingenuity. People often appreciate highly many objects for their grace and material value. But that is not the real need which we all have. I think that the most precious thing about such material objects is that they represent our cultural and historical heritage and knowledge. It is essential that we realize what makes these objects important for us – the innovative nature of their authors. Such is the nature of all art objects – to fascinate and convey the message of artistry and human craftsmanship. This mask was found in 2004 near the town of Shipka, Bulgaria by the famous Bulgarian archaeologist Georgi Kitov. It is dated back to the 5th century (440-480) BC. The mask has individual traits of solid 23-carat gold and weighs about 670 grams. 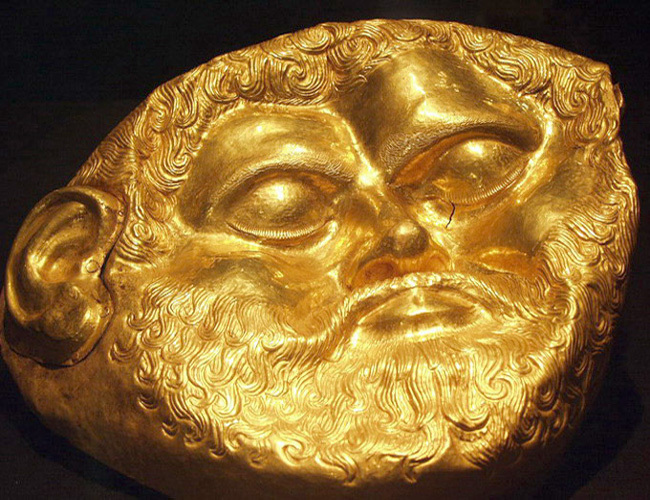 The gold embossed mask on which are clear facial features – nose, eyes, beard, mustache, depicts a mighty ruler. 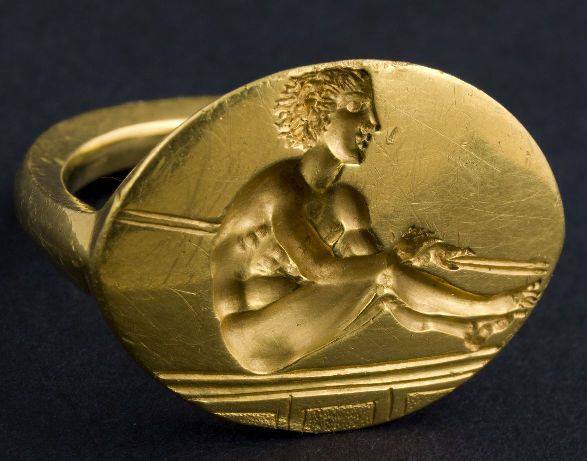 The mask was found along with a gold ring (which you can see in the first picture of this post) which is made from massive gold, weighing in 15 grams, with fine concave image – Olympian oarsman in a boat with oars. This treasure is really a true testament to the generations that a person can live beyond the limits of his own life. This gold wreath has high artistic value and has the image of the goddess of victory Nike in the center. Around the wreath on a hemp tape were sewn 29 gold rosettes, each of them from pure 23 karat of gold. Beneath the wreath you can see a massive ring. The miniature scene on the ring represents the Great Mother Goddess, which is serving a glass of wine to the king himself. This treasure was found in 2005 by the team of the archaeologist Daniela Agre back in 2005. It is dated back to the middle of IV century BC. Some scientists link this treasure to one of the sons of the famous Odrysian king Cersobleptes.